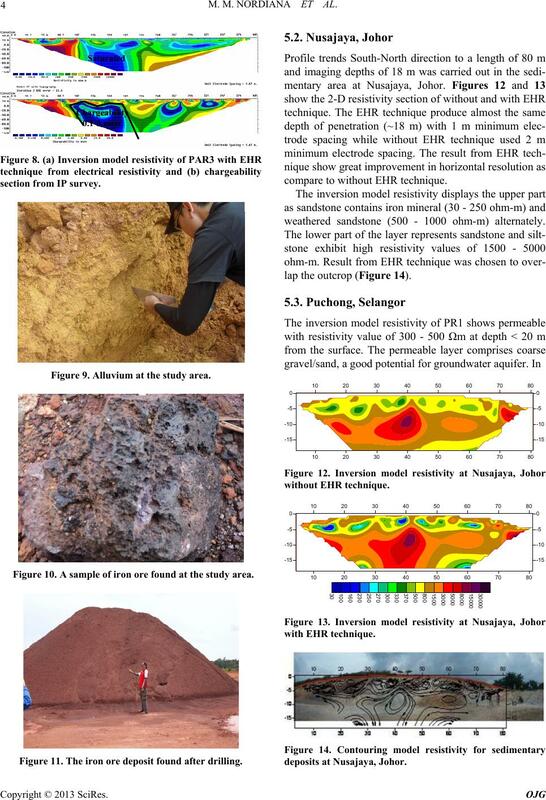 tion, geology, engineering and environment) can be mapped effectively using 2-D resistivity with EHR technique. ture can be obtained using EHR technique. current electrode; P, potential electrode . 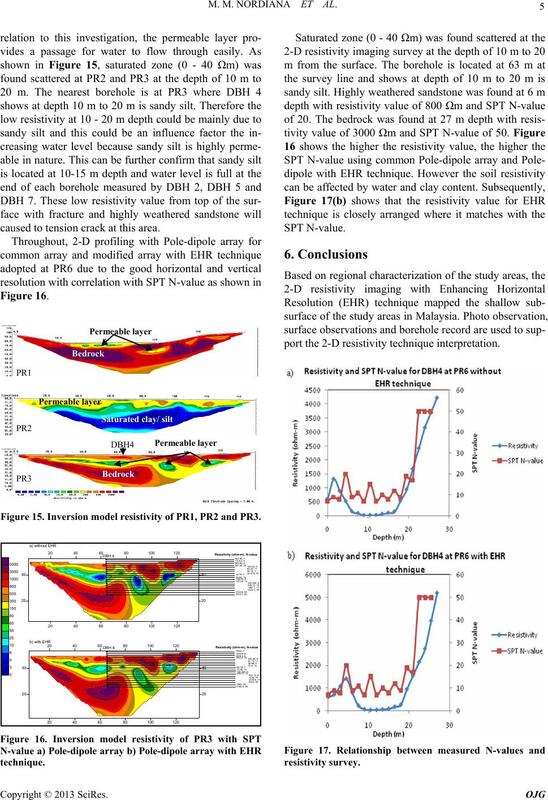 M. M. NORDIANA ET AL. (clays). 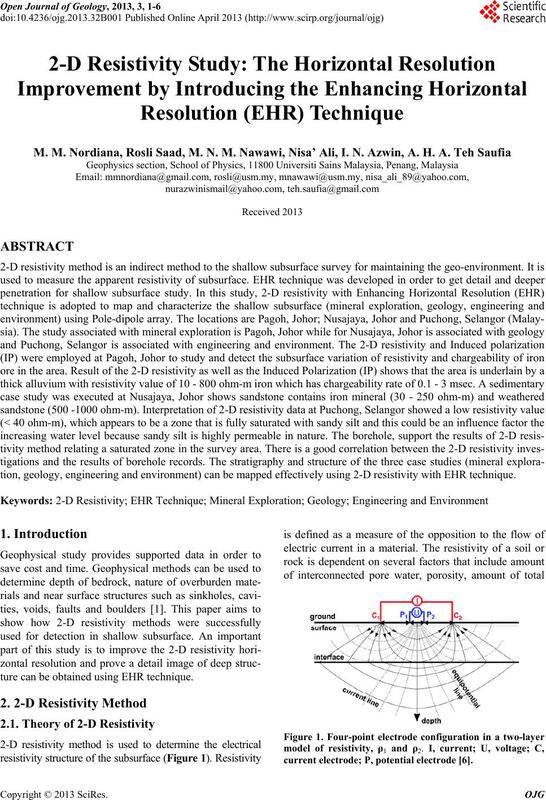 The 2-D resistivity method is described by [2-5]. trode spacing provided the earth has a constant resistivity. each other at a greater depth (Figure 3). Nusajaya, Johor and Puchong, Selangor (Malaysia). the shallow subsurface of the sedimentary outcrop. correlated with borehole that existed on site. surface outcrop and to correlate with the borehole record. algorithm, available in the RES2DINV software. ability was clearly shown in PAR3 with EHR technique. is found at the study area as show in Figures 10 and 11. Figure 9. Alluvium at the study area. Figure 10. A sample of iron ore found at the study ara. Figure 11. The iron ore deposit found after drilling. compare to without EHR technique. weathered sandstone (500 - 1000 ohm-m) alternately. lap the outcrop (Figure 14). caused to tension crack at this area. Figure 15. Inversion model resistivity of PR1, PR2 and PR3. 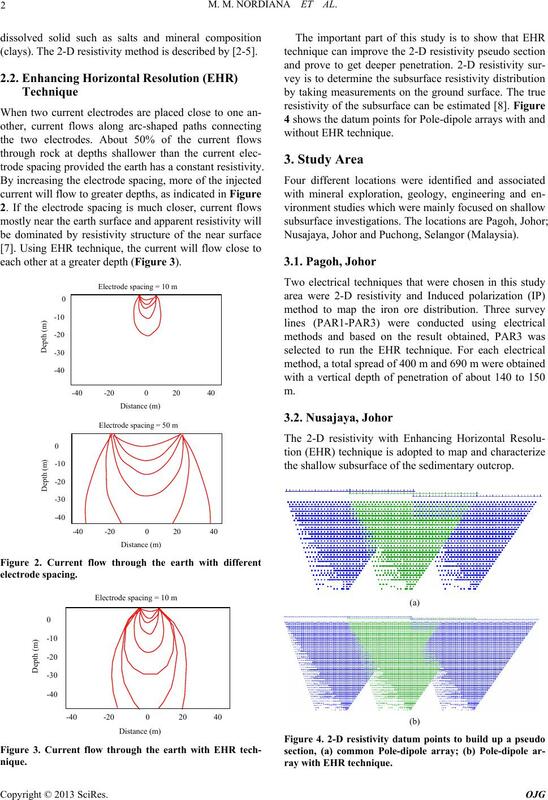 port the 2-D resistivity technique interpretation. 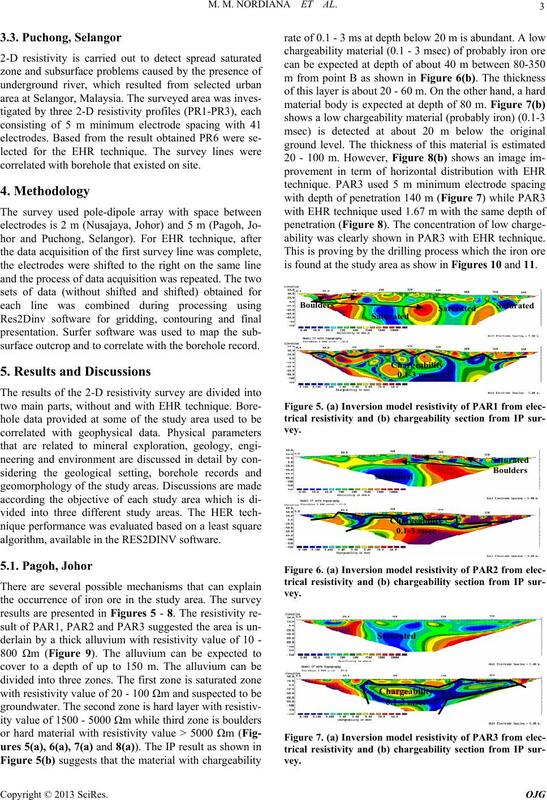 Geophysical Journal, Vol. 92, No. 3, 1988, pp. 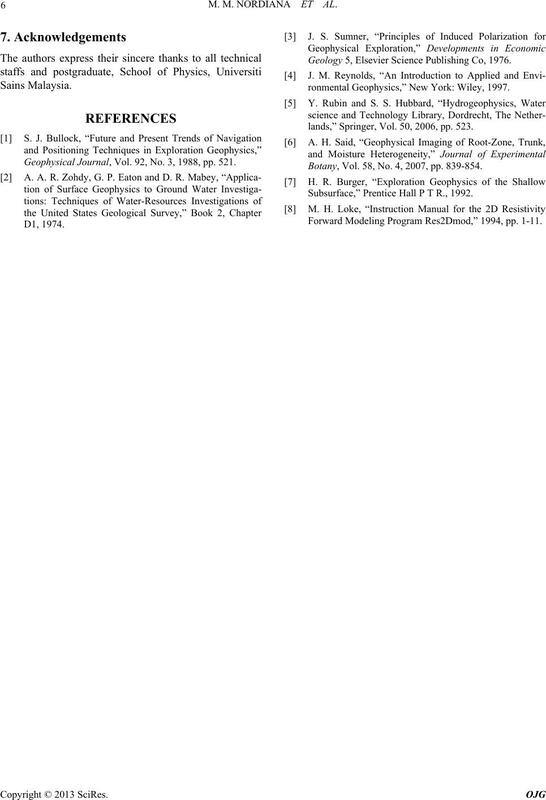 521.
ophysics,” New York: Wiley, 1997. Geology 5, Elsevier Science Publishing Co, 1976. Botany, Vol. 58, No. 4, 2007, pp. 839-854. Subsurface,” Prentice Hall P T R., 1992. Forward Modeling Program Res2Dmod,” 1994, pp. 1-11.